Rural Alaskans want the same thing as many other Americans -- fast, affordable internet. But in the Bush, that's just not an option. John Wallace, a technology consultant in Bethel, is an expert in digital thrift who preaches vigilance when showing clients how to dodge the financial body blows of data overage charges. Yet when relatives arrived in December with two smartphones, a laptop and a tablet, Wallace was unable to prevent his own household from blowing past the data limit of his internet plan by about double the 100,000-megabyte allowance. "My Christmas present for myself was an $850 overage bill," said Wallace, who owns Alaska Technologies. "It cost me dearly. " Affordable, high-quality broadband — defined as an internet connection that is faster than dial-up and always available — remains elusive for consumers in rural Alaska. The most obvious reason is the high cost of installing or leasing space on the satellites, microwave towers and fiber-optic lines that form the backbone of the internet delivery system, or what the telecom industry calls the "middle mile." But many in the telecom industry also blame high costs on the dominance of a single company. 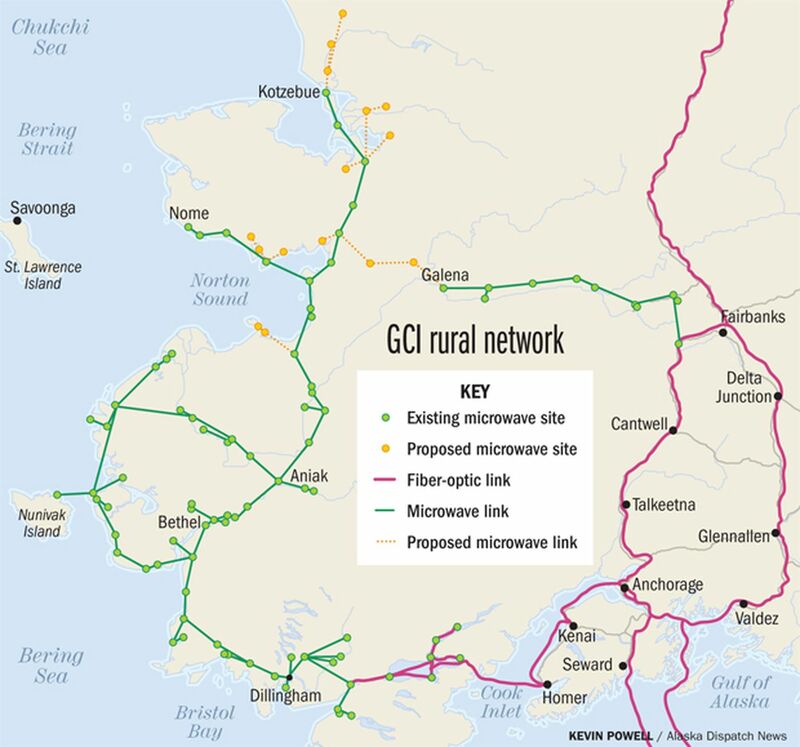 With substantial federal funding, Alaska telecom provider GCI has built a major middle-mile network stretching from the Northwest Arctic to Bristol Bay. 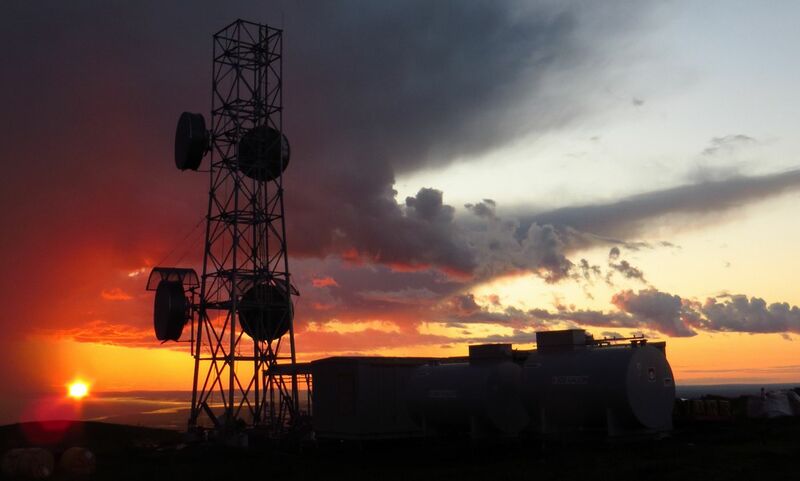 The TERRA network is an impressive feat of telecom engineering and has revolutionized internet service in dozens of small communities, including Bethel, a regional hub city on the Kuskokwim River. But critics say lack of government regulation has created monopoly conditions that benefit GCI by snuffing out competition and forcing consumers to pay more than they should. The middle mile is like a highway network, connecting centralized telecom facilities in communities large and small to the internet. Like vehicles speeding along on asphalt or concrete, data and signals travel the middle mile by satellite, microwave or cable. And like roads, all three technologies are expensive to build, operate and maintain in rural Alaska. In 2009, Congress passed the American Recovery and Reinvestment Act, which distributed $832 billion in nationwide spending to help the economy recover from the Great Recession and prevent another from occurring. Included in the package were tens of millions of dollars to improve and spread middle-mile technology in rural Alaska. The subsidy came out of the U.S. Department of Agriculture's Rural Utilities Service under the Broadband Initiatives Program. The recipient of $44 million in grants and a low-interest loan of $44 million was GCI, Alaska's largest telecom company. The economics of broadband in rural America are bad enough that companies have generally refused to take on the risk of providing it without the Recovery Act and other government subsidies. Construction in remote areas is very expensive and the customer base is not large enough to justify investment by the private sector alone. In Alaska, the costs run even higher given the instability of permafrost, roadless expanses that require heavy dependence on air transport and a construction season shortened by long winters. "They needed subsidies. Whoever was going to do Alaska broadband was going to need subsidies," said Christopher Coursen, who worked for U.S. Senate Republicans as chief counsel on communications during the Reagan administration and is now a telecom lobbyist in Washington, D.C.
That the federal government would commit money for high-speed internet in rural regions is based on the concept of "universal service" as defined in the Telecommunications Act of 1996: All Americans should have access to essential communications technologies, including phone and high-speed internet at "just, reasonable and affordable rates." Since 2011, government subsidies have enabled GCI to build the most extensive middle-mile network in roadless rural Alaska. 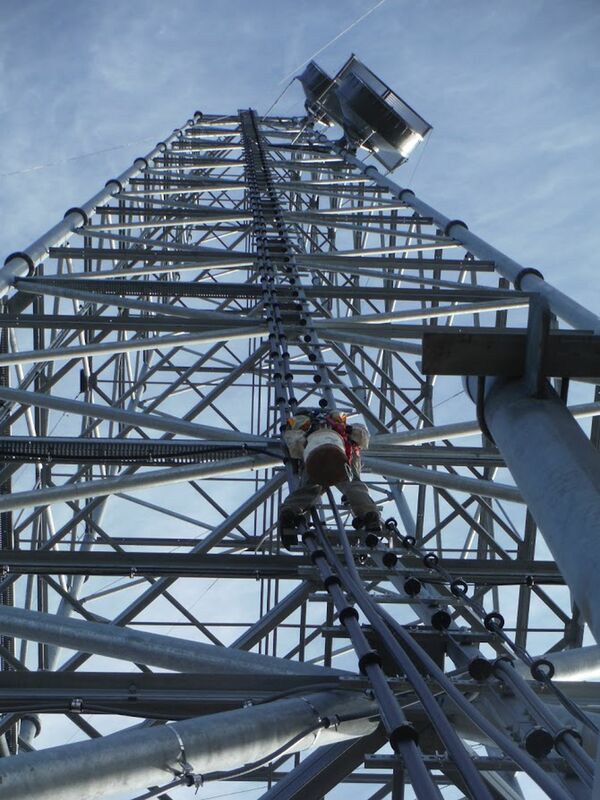 The name of the network — Terrestrial for Every Rural Region in Alaska or TERRA — plays up the fact that its land-based microwave towers and fiber-optic lines are a far superior technology to the satellites that have been the rural default for transmitting bits and bytes. Satellites were launched originally to provide rural Alaska with long-distance phone service. Compared to fiber and microwave, they are slow, spotty and expensive relayers of digital data. The Recovery Act money, tax credits, low-interest loans and lucrative universal service subsidies for GCI to serve schools, libraries and health facilities have all helped make TERRA the primary (and in many cases the only) terrestrial broadband link to 72 communities, including Bethel, in remote Western and Northwest Alaska. GCI has acknowledged that the network could not have been built without government incentives, but officials at the Anchorage-based company say it will have invested $250 million in TERRA by the end of 2017, including the repayment of tens of millions of dollars in low-interest loans provided through federal programs. TERRA appears to be paying off. Since 2011, GCI's "managed broadband" business, the segment of the company serving rural communities, has notched four consecutive years of generally impressive revenue increases, according to the company's annual reports. In 2015, managed broadband brought in $149.7 million, up from $63.2 million in 2011, the year GCI began building TERRA. The emergence of TERRA as a broadband juggernaut with GCI as sole owner has some in the industry decrying the network as an exploitative monopoly. They argue that GCI keeps would-be rural competitors at bay by quoting unaffordable wholesale rates to lease broadband capacity on the network. GCI has considerable latitude in deciding what to charge other industry players as there is no government regulation of broadband rates in the U.S. In correspondence filed with the Federal Communications Commission, ACS, the second-largest Alaska telecom company, portrayed GCI as a monopolist created and propped up by taxpayer dollars. "Currently, terrestrial middle-mile capacity in the Alaska Bush is priced at monopoly levels, at least in part because a single provider is offering inadequate capacity on an unregulated basis in most locations," ACS wrote in a letter to the FCC dated May 2016. "History has demonstrated the need for more explicit requirements to ensure that public funds do not create private, unregulated monopolies." ACS spokesperson Hannah Blankenship said the company has "requested quotes several times since TERRA commenced operations" and has "informed the FCC that despite public funding of these assets, the prices that are being charged make these services unaffordable." Companies looking to provide broadband in Southwest Alaska would be charged a monthly rate of $372,400 under a three-year contract for a standard-sized wholesale package that would allow a telecom company to serve five to eight connections at speeds of up to 10 mbps, according to a white paper written in 2015 for submission to the FCC by Leonard Steinberg, a senior vice president at ACS. That's 200 times what GCI charges in Anchorage, Steinberg wrote. He calculated that the rate should be far lower, at a mere 5 to 20 percent of current rates. Martin Cary, senior vice president of business services with GCI, said he found ACS's position puzzling. "I'm not quite sure I understand why ACS feels the way they do," said Cary. Echoing a letter GCI sent to the FCC, he said, "If they are willing to make the commitment, they can have very significant discounts. They're just not willing to make that commitment." "They are certainly able and welcome to build their own facilities," he added. The Alaska Rural Coalition, a group of 17 smaller regional Alaska telecom providers, has also complained to the FCC about GCI's rates. 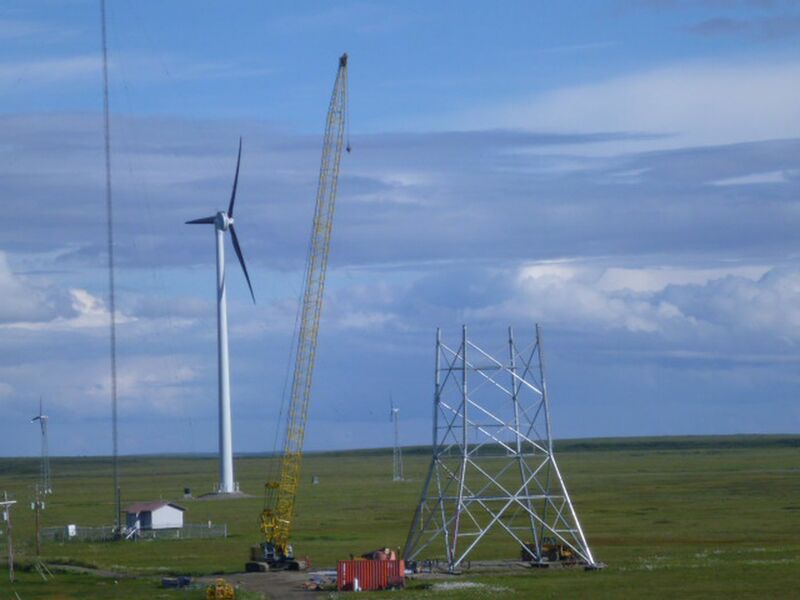 "Even if a small, rural cooperative could access TERRA, the cost is prohibitive," Shannon Heim, attorney for OTZ, the telecom cooperative serving Kotzebue, told Alaska Dispatch News. "It's not a benefit to have a six-lane highway outside your village if the toll is so high you can't get on. You just sit there watching the traffic go by and wish you were one of the lucky ones." As a publicly traded company, GCI's priority is to deliver returns for its shareholders, she said. "If GCI wanted to charge a more reasonable wholesale rate, they could do that, they could find a way," Heim said. "But GCI has to balance that opportunity against their fiduciary duty to their shareholders to maximize profit, and they have done that." Is expensive internet better than no internet? In the parlance of telecom policy, rural areas tend to be on the disadvantaged side of the "digital divide" — the chasm between those with easy access to high-speed internet at reasonable prices and those without. Demand is not the issue. Rural Alaskans want good internet just as badly as urban dwellers do and are just as annoyed when an email account freezes, a purchase doesn't go through or a movie takes hours to download. People will gather outside schools in freezing winter darkness to catch the wireless signal. Or, like Wallace, they'll devote a large chunk of their household budget to a bare-bones broadband plan. GCI is the dominant provider in Bethel and surrounding communities. There, the company's most expensive broadband plan is still inferior to its cheapest plan in Anchorage. The company said its retail prices are justified because the costs of providing broadband in remote communities with chronically bad weather and very small customer bases are so high. Rural consumers simply must pay more, the company said, just as they do for food, transportation and fuel. "Rural Alaska is a very expensive place to do business. The fact that there are no roads or a power grid are complicating factors," said Cary. "It is a challenging environment and we work to do the best we can for our customers." GCI said its consumer prices are similar to local telecoms such as OTZ and TelAlaska, but those companies say they are operating broadband via satellite, a technology whose wholesale price is even more expensive than the microwave and fiber of the TERRA system, according to multiple telecom executives. For $59.99 a month, an Anchorage consumer can sign up for the lowest-tier "No Worries, Fast" plan. Download speeds can reach 50 megabits per second; the data is capped at 51,200 megabytes; and upload speeds max out at 3 megabits per second, according to GCI's website. In Bethel, subscribers, including Wallace, pay $314 a month for GCI's top-tier broadband package. Marketed as the "Alaska Xtreme 6.0 Premium" plan, its highest advertised download speed is more than eight times slower than what's offered by "No Worries, Fast" in Anchorage. The maximum upload speed is slower, at 2 megabits per second. The data package of 100,000 megabytes is twice as large, but costs five times as much. Wallace is among consumers who pay $250 per month, instead of the full list price, for rolling his cellphone and broadband plans together and signing up during a period when GCI was offering a special deal. He appears to have resigned himself to the idea that expensive internet is just part of the price tag on life in rural Alaska. "Three hundred dollars for internet each month to the layman seems like a lot, but you have to be honest with yourself about how much you're going to use," Wallace said. "Take a look at the entire year's bill and add up all the overages. You may find that upgrading your plan and buying your gigabytes up front makes sense." When prices will come down and by how much is unclear. A project called Quintillion is laying the first fiber-optic cable in the Northwest Passage, and the telecom industry anticipates it will bring more wholesale competition to a handful of communities in northern and Northwest Alaska. Federal subsidies to expand and improve broadband service will continue flowing to Alaska's large and small telecom companies, but their effect on future prices is unknown. As the slow rollout of high-speed internet in Alaska continues, Wallace, the Bethel technology consultant, will keep paying for "Alaska Xtreme 6.0 Premium." Wallace signed up for GCI's top-tier plan a couple of years ago, thinking the extra monthly cost for more data would be worth avoiding even more onerous overage charges. Aside from the December overage debacle, that's been true.